This might be an exaggeration but people tend to believe that no one can pull off brown color as nicely as L-email Wigs do. This brown sleek shiny wig that has been straightened out. 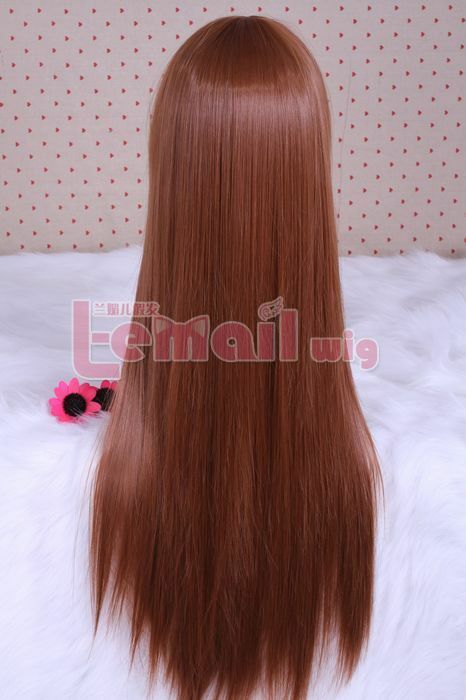 80cm long straight wig is jet brown with soft and smooth heat resistant fiber. The wig is long and is elegant enough to be worn daily. 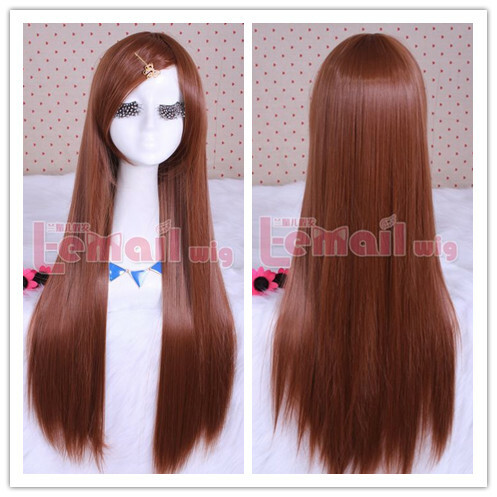 This 80cm long brown straight cosplay wig is thick and has front side bangs with an angular-cut. The bangs need to be trimmed before the first wear so that it suits the way you want it to. 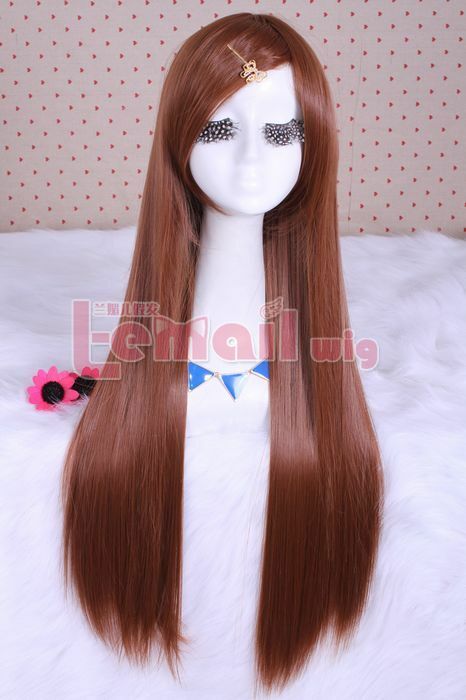 This intense brown color cosplay wig is light weight even though it is 80cm long. It does not tangle easily but definitely needs care and maintenance. The color of this wig is a distinguishing feature which definitely is striking. The wig is 80cm long, straight silky and super light. Easy to carry and manage, and is more than perfect for daily wears or even for cosplay if you have already got some suitable roles at heart. This entry was posted in Buy Cosplay Wigs, Fashion Wigs and tagged 80cm long straight cosplay wig, colorful straight wigs, light brown cosplay wig, long straight fashion wigs.